What Dog Walking and Pet Care services do you offer? The DogSmith offers a variety of Dog Walking and Pet Care services to help you whether you are busy for the day, out of town for a week or just want to give your pet some extra attention. Your DogSmith can personalize a pet care schedule to meet your needs. What kind of pets do you provide pet care services for? Our DogSmith Pet Care Technicians have a wide range of experience with many different kinds of animals. Just let us know if your pet has any special pet care needs or if you have an unusual pet care request. We will do everything we can to meet your expectations. What makes The DogSmith Dog Walking and Pet Care different from other pet sitting and dog walking service providers? Are DogSmith Pet Care technicians bonded and insured (and what does that mean to me as a client)? The DogSmith Pet Care Technicians are fully bonded and insured. This means our clients have peace of mind when they are away. We take responsibility for your pets when you put them in our care. Having professional insurance in place shows that we are serious about the dog walking and pet care service we provide. Will there be consistency in the dog walking and pet care services that you deliver? Yes. At The DogSmith our goal is to provide reliable, familiar and friendly service for your pets. Our DogSmith Pet Care Technicians most likely live in your neighborhood, which enables them to readily provide you with highly personalized dog walking and pet care services. And because we maintain a cadre of highly trained DogSmith Pet Care Technicians, in the event your primary DogSmith Pet Care Technician is otherwise unavailable for your required dates of service, you are always assured of the same professional pet care services. Of course, we will contact you to get your approval if any substitutions are necessary prior to service. What is the purpose of the Pet Care “In-Home Consultation”? Our DogSmith Business Owners provide a free in-home consultation so you feel comfortable with the person who will be caring for your pets and so your pets have an opportunity to meet and interact with their DogSmith. Caring for animals is a two part process, observing and monitoring. When we meet your pets for the first time it gives us an opportunity to make notes about their appearance and demeanor. That way, while caring for your pets we will be able to observe quickly if they are behaving strangely, if something is out of place or if they need special attention. What do you charge for dog walking and pet care services? At The DogSmith we provide a high level of personalized dog walking and pet care services tailored to meet your needs. Our price list is published on our client reservation software and you will see your service pricing as you build your pet care itinerary. Can I make last minute arrangements to my pet care itinerary? Using The DogSmith Pet Care reservation software you can make bookings online 24 hours before you need us. If you require dog walking or pet care services on a shorter notice then call your local DogSmith who will be happy to help you. You can also leave your key with us (or we can provide you with a lock box) to make it easier on you should you need to leave home on short notice. How do you determine what time the DogSmith Pet Care Technician will pay visits to my pets? Whether providing daily visits or dog walks to your pets, your DogSmith Pet Care Technician will strive to keep as close to your pets’ routine as possible. When we meet for your initial consultation you will advise your DogSmith Pet Care Technician the details of your pets’ normal activities and they’ll strive to keep that same schedule! DogSmith Pet Care Technicians can provide references from many of our DogSmith clients. Please ask your DogSmith to provide them to you during your in-home consultation. How am I billed for dog walking and pet care services? As soon as we complete your home visit consultation and confirm your services we will then email you your invoice. Payment in full is due at the time of reservation. Reservations are not held until payment is received by the DogSmith Franchise Owner. This secures your reservation and gives you peace of mind that your pet care needs are taken care of. When can I expect to meet my DogSmith Pet Care Technician? Once you have made your initial inquiry into The DogSmith services either by phone or through our website your local DogSmith will contact you within 24 hours to schedule an appointment. How do you screen your DogSmith Pet Care Technicians? We take the recruitment and development of Pet Care Technicians very seriously. Your local DogSmith Franchise owner performs background checks on all of our DogSmith Pet Care Technicians before we begin their extensive training. We obtain a minimum of two reference checks and ensure they have no criminal record or history of drug abuse. What does a Professional DogSmith Pet Care Technician do? Each of our DogSmith Pet Care Technicians are required to pass rigorous training in pet first aid and care. Many are also certified dog trainers extremely capable of ensuring your pets are cared for in the most professional manner available. We care for the emotional, environmental, physical and nutritional well being of your animals while you are away. Why should I use your dog walking and pet care services instead of using a friend, neighbor or relative to do it? The DogSmith Pet Care Technicians are trained professional animal caregivers. It is what we do, it is our passion and our career, it is our reputation at stake. We will be at your home to care for your animals according to your service schedule; we can be trusted to do what is right by your animals at all times and we have the resources, training and expertise to do it. 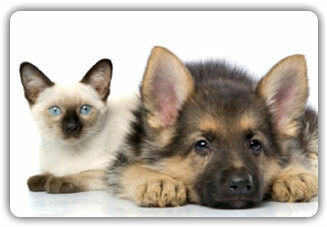 In the event of an emergency our Pet Care Technicians are trained to assist your animal until we reach a veterinarian. How much does a pet care visit cost? The DogSmith provides many different pet care services and we build pet care schedules tailored to meet your individual needs. Pricing is based on the services you request. Your local DogSmith will help you build the most appropriate pet care service schedule based on your pet’s needs and your budget. How do I get started with The DogSmith? We recommend that you contact us immediately. You don’t want to wait until you are in the midst of planning your big holiday or you are assigned a last minute business trip. Establish a relationship with your local DogSmith when you do not need us so things will be that much easier when you do need us. It costs you nothing to get set up. How many visits a day do you provide for pets? The DogSmith can provide from 1 to 5 visits each day to care for your pets. We also offer Canine Slumber Parties, Day Care Services and DogSmith Sleep Over’s. The DogSmith respects and protects the confidentiality of all our clients. We will never share any of your information with a third party unless you give us specific permission in writing to do so. Each pet care visit to your home is 30 minutes long. The standard 30-minute pet care visit can be extended in ten-minute increments. The full DogSmith cancellation policy is detailed on our website. Payment is required with a signed agreement after the complimentary consultation visit and prior to rendering pet care services. Our cancellation fee structure is as follows: – A full refund will be provided if cancellation is received at least 8 days prior to scheduled service. – 20% cancellation fee will apply if cancellation is received within 2-7 days of scheduled services. – 100% cancellation fee will apply if cancellation is received within 48 hours of a scheduled service. – 100% cancellation fee will apply if cancellation is received within 7 days of a national holiday. Yes, we will administer medication, pills, drops and/or injections with your vet’s written approval and directions. However, we cannot administer medication to any animal that poses a danger to the DogSmith Pet Care Technician. Can I hire my Pet DogSmith Pet Care Technician directly? What if my property is damaged or my pet is injured while I am gone? We will do whatever is in our ability to take care of any issue according to your wishes and directions. The DogSmith agrees to provide the services stated in our service agreement in a reliable, caring and trustworthy manner. Due to the extreme unpredictability of animals, we cannot accept responsibility for unusual mishaps (i.e., bites, furniture damage, spills, pet stains, etc.). Additionally, if your pets have access to the outside, we cannot be responsible for injury, disappearance, or fines. How am I billed for pet care and when is it due? As soon as we have finished the home visit consultation, you will receive an email confirmation that also details your charges for the pet care services you desire. Payment is required prior to services being performed. It depends on the type of emergency. If something was to happen to your regular DogSmith Pet Care Technician, we have fully qualified backup DogSmith Pet Care Technician that can take over. If an emergency occurs with your pets, we will first, according to your instructions, contact your vet and transport them if necessary. You will then be consulted about the situation so you can direct us from there. If there is an emergency with your home, we will call you, your emergency contact and the appropriate authorities and/or a preferred repair service depending on your instructions. Can we contact you while we are away? Or will you contact us? Yes, you can contact us as often as you’d like and we will set up regular communications to you as frequent as you like. As part of our service we provide our pet care clients with e-mails or voice mail. Just let us know how often you would like to receive updates. After all, we are here to serve you and give you peace of mind while you are away from your pets. What happens if my pet becomes ill or injured? This is why Emergency Contact and Vet Information as well as your instructions are so important! Please make sure when you register as a DogSmith client that you take the time to fully complete your profile and the profile for each of your pets. What happens if my pet gets out of the yard? All pets should be wearing an identification tag and collar. 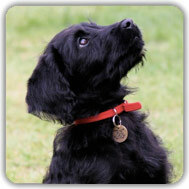 As an added measure of security The DogSmith also provides each of your pets with a PAL® tag with our toll free number. Your pet’s details, description and picture are kept in our database. If your pet goes missing at anytime, we send out alerts within your area to help return your pet to its home. May I offer a gratuity to my pet DogSmith Pet Care Technician? Yes, you may offer it directly to your DogSmith Pet Care Technician or send it to your local DogSmith office. How do I get my key back when I return from my trip? The DogSmith will not leave keys ‘hidden’ outside your house nor will we lock them in your house (in case you are delayed returning home). We can keep your key on file or return it to you once you are safely home. We also use realtor lock boxes if you prefer. What do you do with my keys if they are on file? Your security is important to us. We want to make sure your security and safety will always be protected. That is why we have a special system of coding your keys so your name and address are never with your key and your keys are always securely locked up when not in use. Do I have to have another appointment and fill out another service agreement for pet care services every time I leave town? Once you register as a DogSmith client on our database you never have to do it again. For any future dog walking or pet care needs just log in and schedule your appointment. Will The DogSmith ever share my information with any other company or individual? Absolutely not! Your privacy is very important to us. We hold ourselves to the highest standards and value the trust you place in us. If you have any questions regarding the information we gather about you and what we do to protect it, please feel free to contact us.